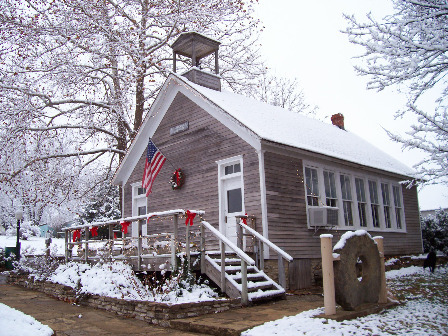 St. Charles, a one-room schoolhouse, was moved to the Hollow Park and houses the Chautauqua County Teachers Hall of Fame. The round sandstone with a hole was the cistern top. Swings, a teeter-totter and picnic tables invite you to linger. Open Monday-Friday 1-5 p.m. by appointment.